Anyone who takes a look at the pure, timeless beauty of America’s landscapes will agree that they’re worth preserving. National Parks protect some of the most breathtaking sites in the nation, ensuring their unique landmarks will be preserved for future generations. America’s national parks also give tourists from all over the globe the chance to visit and appreciate these natural wonders, providing countless people with the experiences of a lifetime. So, what are some of the largest national parks that you can visit in America? Today we’ll be looking at ten of the largest national parks in the United States, and learning about some of the traits that make each of them worth visiting. 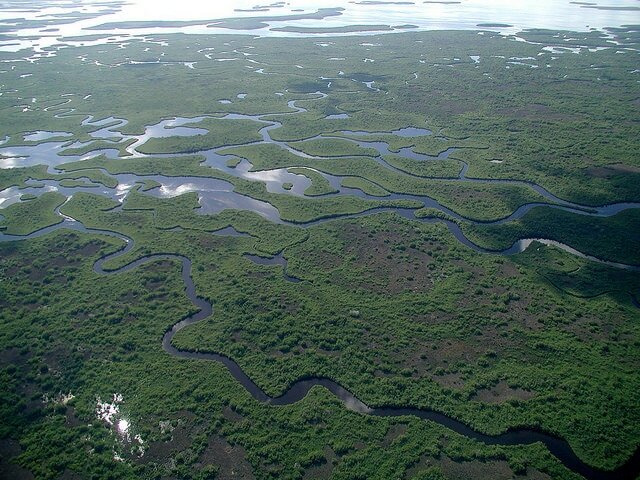 With bragging rights as both the largest continuous stretch of sawgrass prairie in North America and the largest mangrove ecosystem in the western hemisphere, the Everglades is one of the most unique parks in the nation. The sawgrass that grows on the prairie sports rough edges sharp enough to cut through clothing, and can grow up to six feet tall. The Everglades are home to the endangered Florida Panther, as well as 36 other threatened or endangered species. Receiving fewer visitors each year than any other national park, Kobuk Valley National Park is located entirely above the Arctic Circle and shares its northern border with Noatak National Preserve. It is also considered to be the most remote national park, with no visitor centers, signs, campgrounds, or roads whatsoever to be found. Kobuk Valley National Park features the northernmost sand dune field in the Western Hemisphere. Measuring to be larger than the states of Rhode Island and Delaware combined, Yellowstone National Park is famous for everything from majestic bison to powerful geysers. Yellowstone was designated a UNESCO biosphere reserve in 1976, and later a UNESCO World Heritage Site as well. 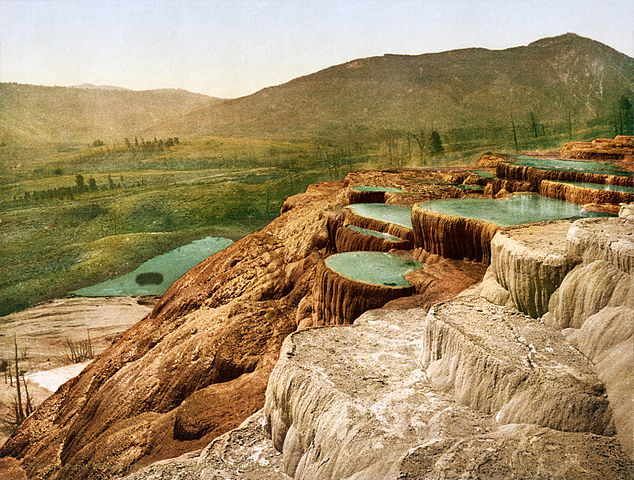 Tourists from around the world travel to see this national park’s remarkable terraces and bubbling sulfur springs. The Yellowstone Caldera, which serves as a reminder of the past explosion that molded the unique landscape we see today, takes up much of the park. Along with its diverse wildlife including caribou, wolves, and grizzly bears, Lake Clark National Park is also home to Mount Redoubt, an active volcano. Mount Redoubt is the highest point in the park, and spewed ash that interfered with the flight of a KLM Boeing 747 in 1989. Fortunately, the plane was able to make it safely to Anchorage despite its four engines failing. Lake Clark was originally called “Qizhjeh Vena,” which means ‘a place where people gathered’ in Dena’ina Athabascan. 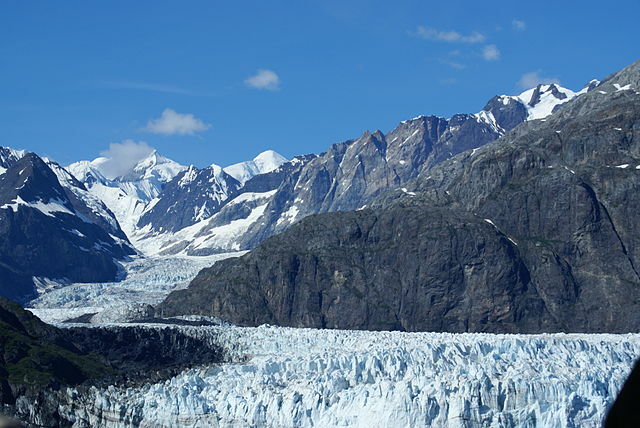 Designated as a National Monument in 1925 before it was established as a National Park, Glacier Bay is considered to be one of the most inspiring places on the continent. 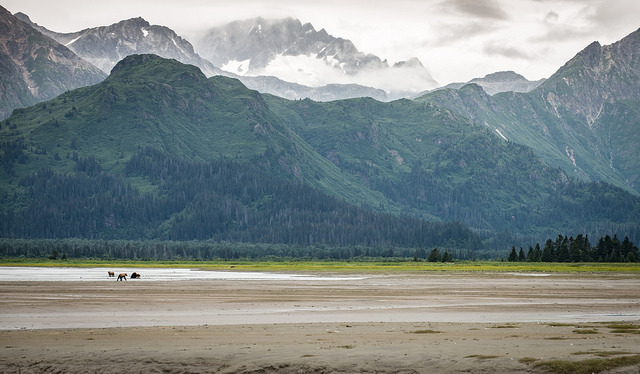 Glacier Bay National Park ecompasses the wilderness that is home to the Huna Tlingit people. This was a source of contention in the past, but has been largely smoothed over in the present. The massive icebergs of Glacier Bay periodically break and collide with the water, creating a powerful sound that the Tlingit call “White Thunder”. 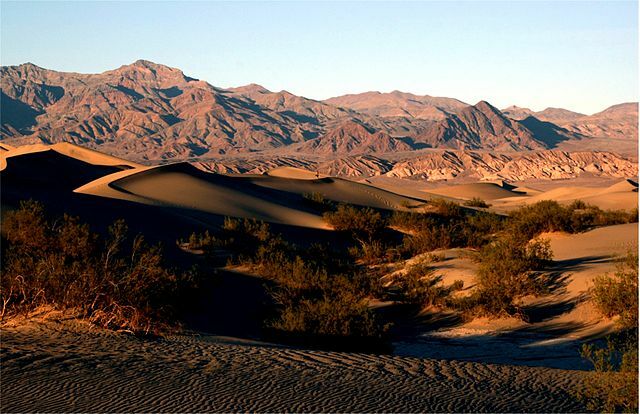 Death Valley is the source of some of the hottest temperatures on Earth, as well as the driest spot in the world. The famous valley itself is around 140 miles long, located in the northern Mojave Desert and bordering the Great Basin Desert. The famous Racetrack playa of Death Valley National Park is the site of the mysterious Sailing Stones. These stones seem to move across the playa on their own, leaving trails in their wake, and their movements might be attributed to ice formation. 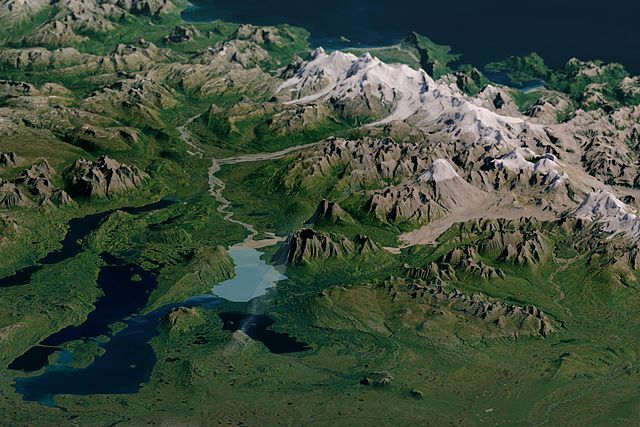 With fifteen volcanoes and a population of around 2,000 brown bears, Katmai National Park boasts a high reputation as one of the most raw and powerful places in North America. The striking landscape located at the park’s center is known as “The Valley of 10,000 Smokes,” and was formed after the Katmai eruption of 1912. When measured by volume, the 1912 Katmai eruption of a mound called “Novarupta” was found to have been 30 times larger than that of Mount St. Helens in 1980. Proudly featuring Denali, the tallest mountain peak in North America and third highest of the Seven Summits, Denali National Park is the true gem of the Alaskan interior. This pristine National Park also boasts nearly 12,000 lakes and around one million acres of glaciers. In the park’s extreme wilderness, there is only one road. While the distance people can travel on this road is normally limited, the annual road lottery offers an exception. 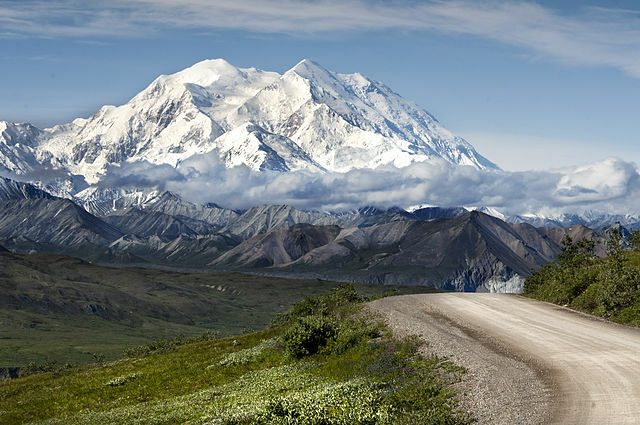 Denali, which means “The Great One,” reaches a stunning 20,237 feet in height! 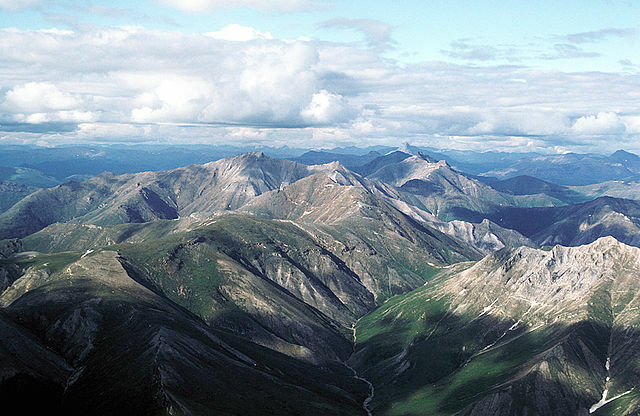 In 1978 the Gates of the Arctic National Monument was created, and was later expanded into the Gates of the Arctic National Park. This park sees less traffic in a year than the Grand Canyon gets in a single day during peak season, and gives tourists ample room to explore the raw wilderness. 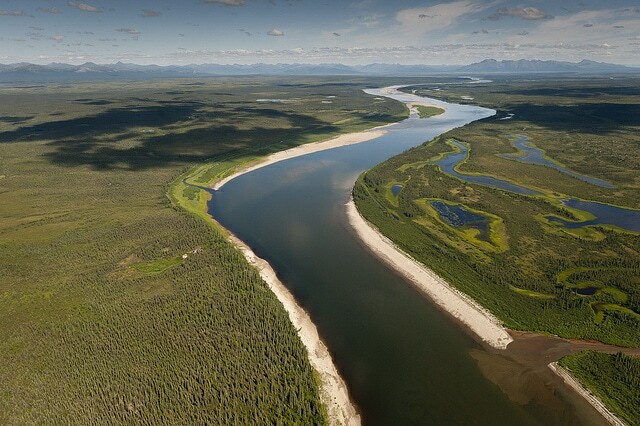 The Gates of the Arctic National Park is also home to six National Wild and Scenic Rivers. The gorgeous Endicott Mountains are located towards the center of the park, making up part of the central Brooks Range. 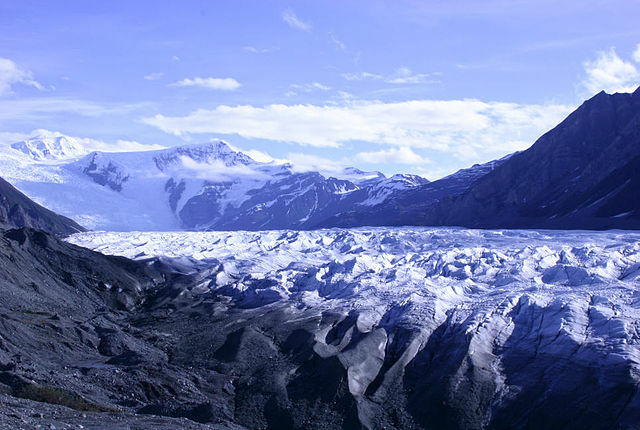 Wrangell-St. Elias is the largest national park in the United States. This sprawling park is approximately six times the size of Yellowstone National Park. It is also the largest wilderness area in the National Wilderness Preservation System and the world’s largest international protected wilderness. The beautifully rugged Wrangell-St. Elias National Park has only two roads that connect it to the outside world. These two roads lead to small communities that have sustained since their origins as old mining towns.